Do you and your guests like a challenge? 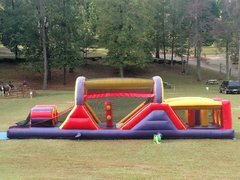 If so then you've found the solution with an Inflatable Obstacle Course Rental! 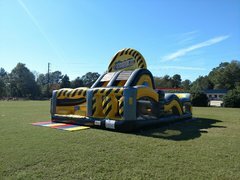 You can count on a high-quality inflatable obstacle course rental that is cleaned and sanitized, state inspected, and insured. 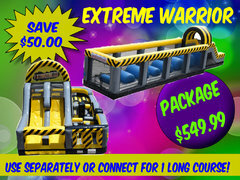 Perfect for school events, church groups, team building activities and family-reunion fun! 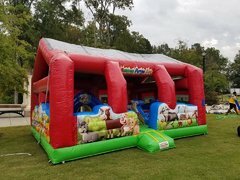 Don't forget, whether you need a single bounce house for a birthday party or an array of inflatables including inflatable games, bounce houses, combo bouncers, water slides, and giant slides, for your company picnic or school event, you'll find all you need and more at Carolina Fun Factory.